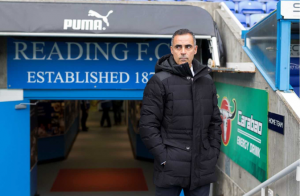 José Gomes will be dropping in to the 1871 Suite for a Fans Forum on Thursday 28th February at 8pm – doors open at 7.30. If you have a question for Jose, please send it to ian.maynard@star-reading. Please remember that the open discussion at these forums is dependent on the clear understanding that attendees do not divulge detailed comments, or share recordings on social media – a summary of the forum will be shared on the STAR website after the event. Entry is free to Members, new members can join on the night.